You love your cat. Of course! But that love could be tested just a bit when you walk into a room and are greeted by the unmistakable smell of cat urine. Why did he do it? How do you get rid of it? And — how do you prevent him from doing it again? Here’s how to clean up cat urine in 3 places: carpet, non-carpet surfaces and bedding. Cats often “go” outside the box to let you know what’s going on with health issues, their feelings about changes in the house, and their displeasure with their cat litter box. Another reason? Unneutered males spray to mark their territory, and unneutered females spray to let male cats know that they’re in heat. The sooner you clean up cat urine — all up! —the sooner you can prevent your cat from returning to that spot to go again. 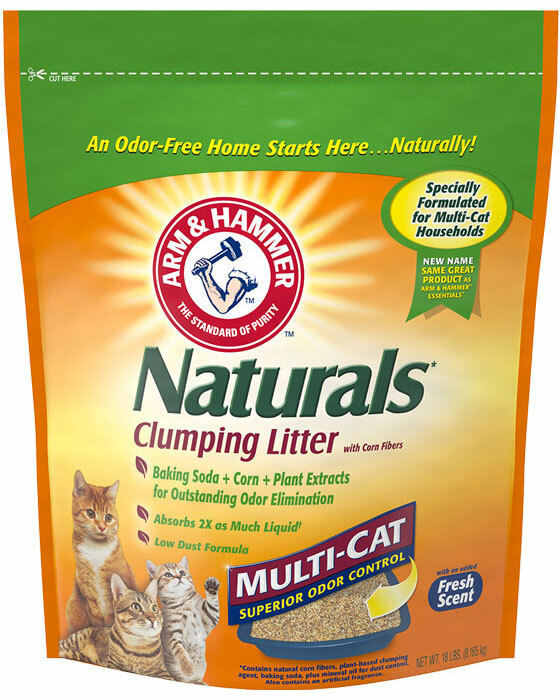 Clean the cat litter box more than once a day; some cats prefer an inappropriate place over a dirty litter box. 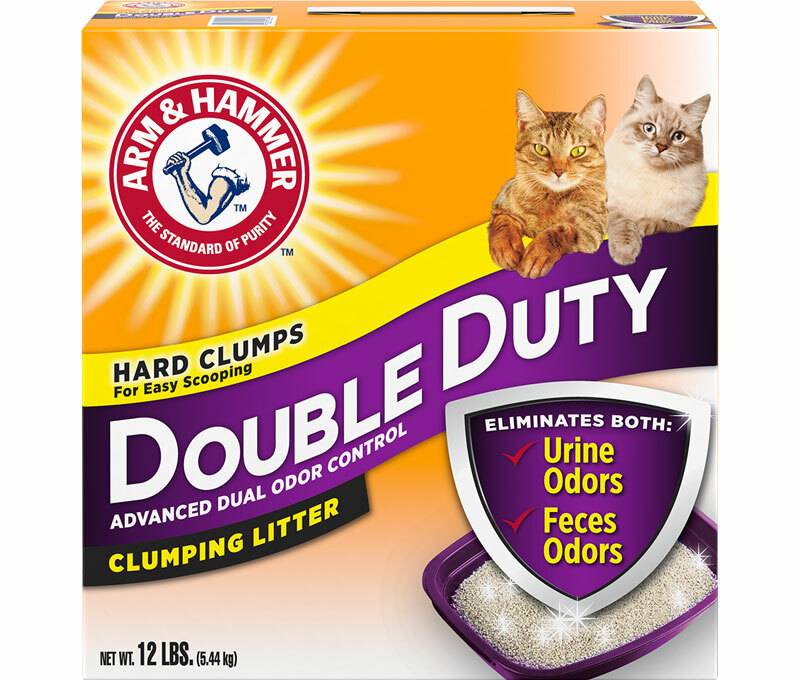 For 7-day odor control, try using ARM & HAMMER™ Clump & Seal™ cat litter. Here’s how to get the job done, safely and effectively. Getting rid of the smell of cat urine from carpeting can be challenging, because it can soak right through the carpet fibers to the carpet padding. And since cats have a strong sense of smell, it’s important to clean and deodorize the area completely to prevent a return visit! For a DIY solution: Scrub the area throroughly with club soda, and let dry. Then sprinkle with ARM & HAMMER Baking Soda. Let it sit so the baking soda can soak up any lingering odors, and then vacuum. Try ARM & HAMMER™ Pet Stain & Odor Remover Plus OxiClean™ to remove even the toughest pet stains* and destroy odors on the spot with a combination of ARM & HAMMER™ deodorizers and OXICLEAN™ stain fighters. No matter why your cat is going outside of the box, getting the spot clean and fresh as soon as possible is key to getting her to stop this behavior — and reclaiming your home. To keep your cat from going outside of the box, learn the 5 litter box tips that can make a difference. *When applied promptly as directed after an ordinary pet stain has occurred. To fight cat fur, put clothes in the dryer for a few minutes before washing to loosen hair. Litter boxes should always be large enough for your cat to cover their waste with fresh litter. With multiple cats, vets recommend multiple litter boxes — one per cat, with another as a spare.